We were each given a fat quarter and need to have something completed by our Christmas dinner meeting. My fat quarter is the bordering fabric in the upper right place mat. I will put a border on all of them, to (hopefully) make them look like a set! 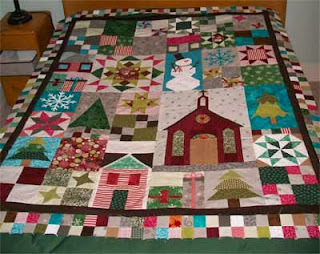 I've also been working on the Christmas BOM that Jennings Community Church sewing group has been working on this year. I have two borders sewn on and was laying out the second two borders when I realized I have a mistake in the left border and need to take it off *sigh* More seam ripping. 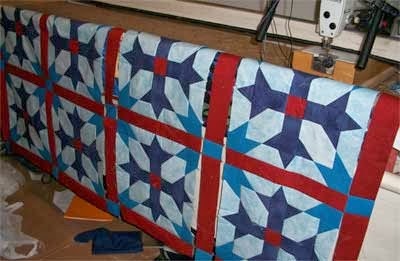 I've also been working on a quilt for the Boybarian. 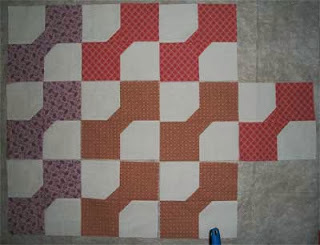 I know I've shown the blocks before on DWM, but now I've almost gotten the field sewn together :) I've got to get it done before winter ... and in MI, winter is getting closer all the time! 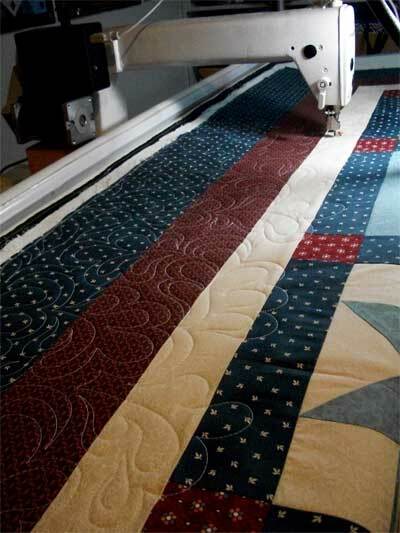 For more design wall inspiration visit Patchwork Times! 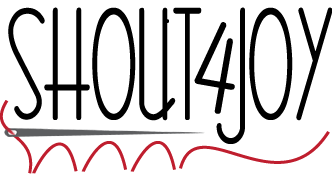 I also wrote a guest post for another blogger (check it out at Quilt Centric). What is on your design wall? See more design walls at Patchwork Times! 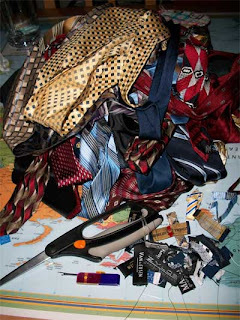 The first thing is the gutting of the ties ... the ties come apart very easily and you pull the interfacing out and get two piles larger than the original pile of ties (pretty strange, eh?). 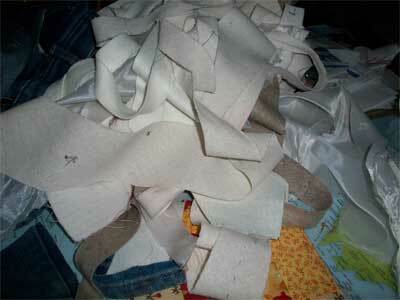 Here are the guts, laying on my dining table (my daughter was dissecting some jeans, too). Though I most likely won't get to cutting them up until next week. I want to paint my guest room over the weekend! 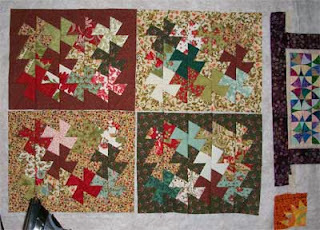 On my design wall this morning is a twister quilt made with a William Morris Charm Pack :) I just love those fabrics! 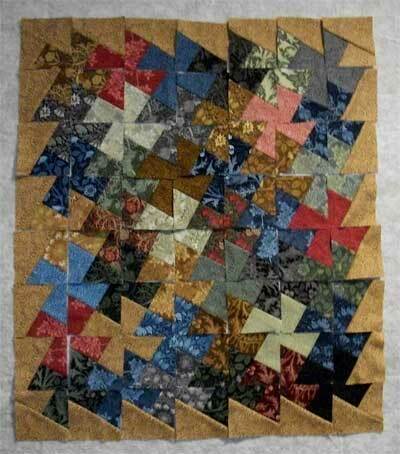 For more design wall inspiration, check out the links at Patchwork Times!